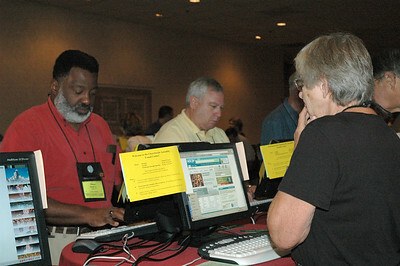 The e-mail center is very popular. 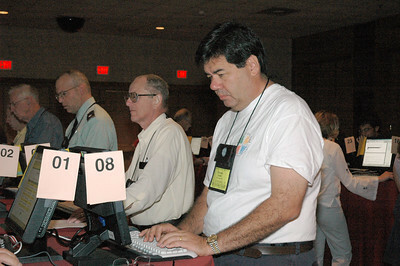 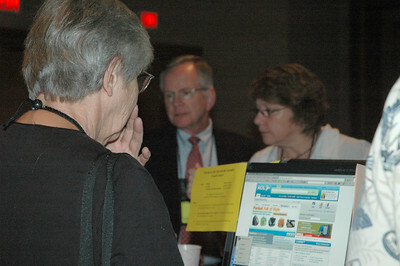 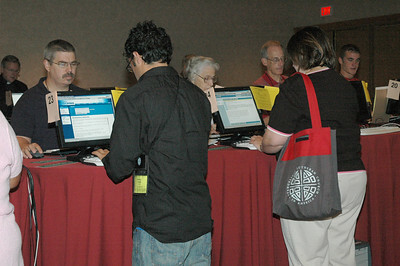 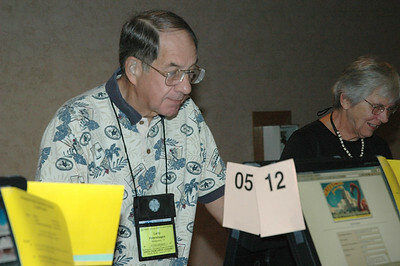 At breaks and between plenary sessions voting members check their e-mail. 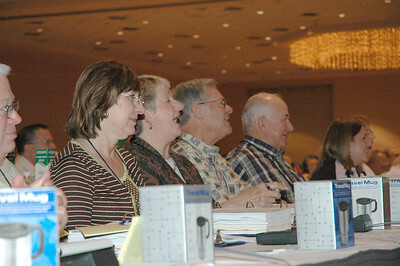 Assembly participants send specially designed e-cards. 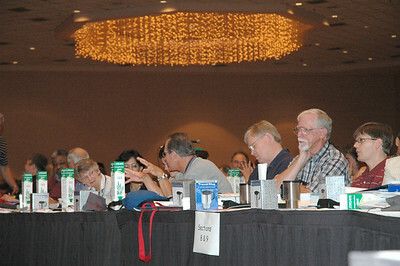 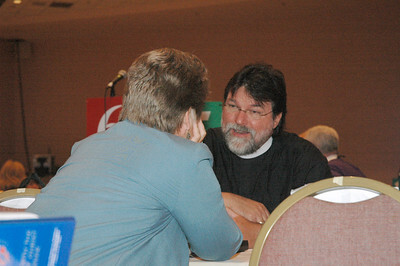 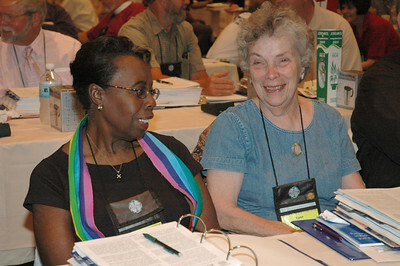 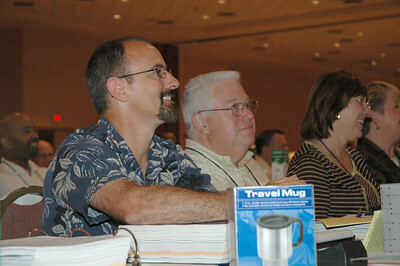 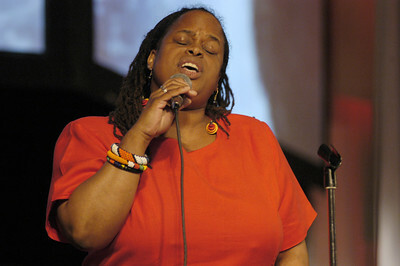 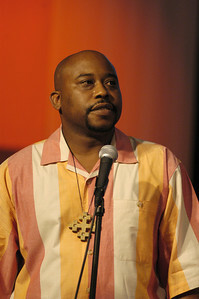 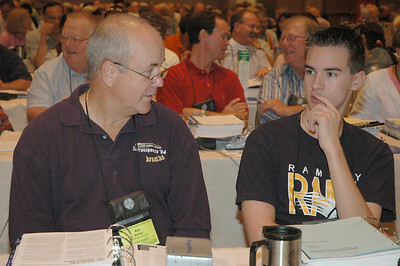 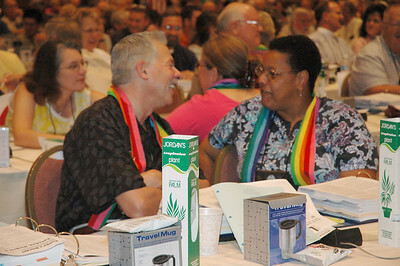 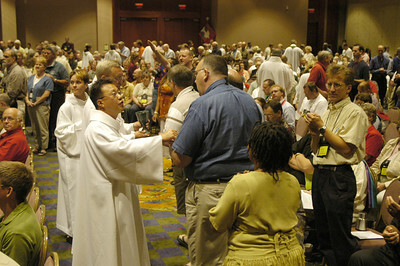 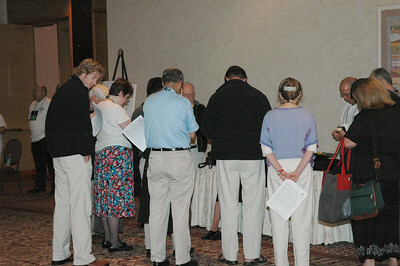 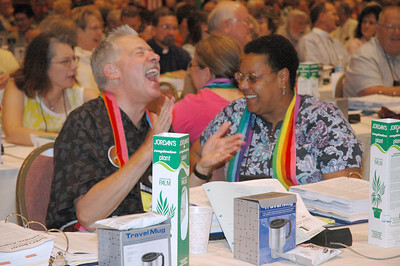 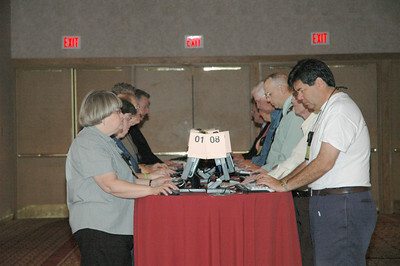 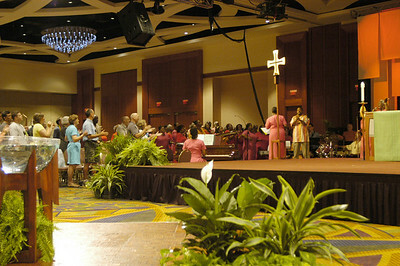 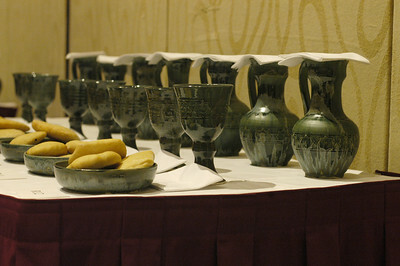 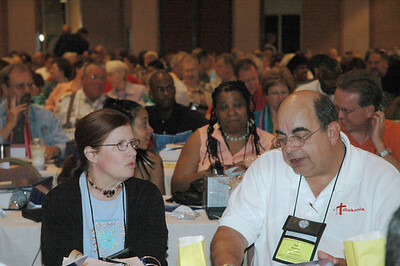 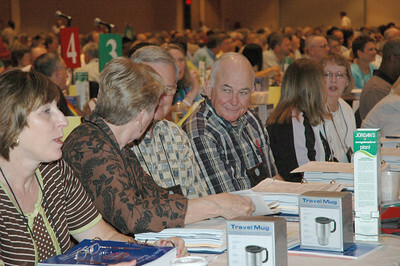 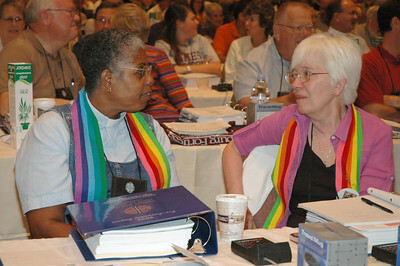 Bishop Payne's Synod Assembly deligation begins Session Two with prayer.